…and an ISIS image on his social media page. A Detroit man who allegedly bought high-grade explosives from an undercover agent after amassing an arsenal of weapons and talking about carrying out an attack was charged Monday following an FBI counterterrorism investigation. It is unclear from court filings whether Sebastian Gregerson, aka Abdurrahman Bin Mikaayl, was planning an attack and why he allegedly was purchasing explosives from an undercover FBI agent. Court records chronicle a 16-month undercover investigation that started after a tipster told the FBI that Gregerson, 29, had grenades and bazookas. The complaint emerged Monday amid heightened concern about terror-related attacks and fatal shootings of law enforcement officers, including five officers killed during an attack last month in Dallas. “I am unable to comment beyond what’s contained in the complaint,” said Gina Balaya, spokeswoman for the U.S. Attorney’s Office in Detroit. Gregerson, who has a long brown beard and nearly waist-length hair, quietly read a copy of the criminal complaint Monday while wearing handcuffs and ankle chains during a brief arraignment in federal court. He faces up to 10 years in federal prison if convicted of unregistered possession of a destructive device and unlicensed receipt of explosive materials. Gregerson, who is being held without bond temporarily, is due back in federal court Thursday when a judge could keep him locked up while awaiting trial. Two Gregerson supporters, including a woman wearing a hijab, declined comment outside federal court. Gregerson’s court-appointed lawyer could not be reached for comment. 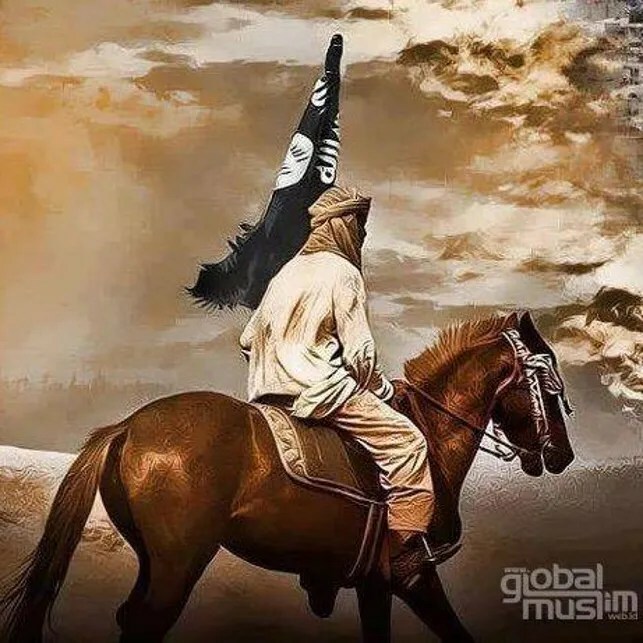 A Facebook account belonging to a user with the same name, and a hometown of Dearborn, includes an image of a man riding a horse and carrying an Islamic State flag. Seamus Hughes, deputy director of George Washington University’s Program on Extremism, said Islamic State supporters have used the same photo in the past. “That suggests to me that he is a supporter (of the Islamic State),” Hughes said. The Facebook account also includes a meme that mentions shooting sprees. “Abdurrahman Gregerson” works in logistics and supply chain at Target and previously worked at Wal-Mart, according to a LinkedIn profile. The profile says he is studying criminal justice and law enforcement administration at Henry Ford Community College and lists firearms instruction, survival training and security as skills. On Monday, in a federal courtroom in downtown Detroit, Gregerson stood before a magistrate judge accused of two crimes. Neither was for terrorism. Rather, the FBI concluded that it had seen enough and heard enough — an undercover agent recorded conversations with Gregerson — to charge him with possessing a destructive device and receiving explosive materials without a proper license. He was arrested Sunday night, the FBI said, when he tried to buy grenades from undercover agents. The case started 16 months ago with a tipster alerting the FBI about Gregerson having bazookas and grenades, and ended with Gregerson buying grenades from an undercover FBI agent at a Monroe gas station on Sunday. The FBI has stopped short of calling him a potential terrorist and won’t comment on the case. Neither will the U.S. Attorney’s office. According to a criminal complaint filed Monday in U.S. District Court, Gregerson came to the attention of the FBI in April 2015 after a confidential source alerted the agency about Gregerson’s activities, disclosing that Gregerson claimed to have both grenades and bazookas, which are a shoulder-type rocket launcher. An FBI investigation followed, focusing heavily on Gregerson’s purchases at various stores across metro Detroit. He had stockpiled weapons, explosives, tactical gear and training materials at his house, including a loaded AK-47, a machete, a grenade launcher, hundreds of rounds of AK-47 ammunition, two balaclava ski masks that covered everything but the eyes, a Kalashnikov training video, and road spikes that he bought on eBay, court records show. An undercover FBI agent also met with Gregerson on numerous occasions and recorded their conversations, including one in which Gregerson focused on grenades and grenade launchers, and described what “tactics he would employ to commit an attack on a building” using various grenades. “Gregerson also told (the undercover agent) that obtaining high explosive grenades would be illegal and proceeded to explain how he could make homemade grenades of this type with empty 37mm grenade shells,” an FBI agent wrote in an affidavit on file in federal court. Gregerson also suggested paying $25-$30 for a so-called M67 grenade, which the undercover agent had explained was hard to get, and that to obtain one, “he would need to find either a greedy soldier or a corrupt supply sergeant,” according to the affidavit. The criminal complaint does not offer any details about Gregerson’s life in Detroit, where he worked or how long he had lived here. His lawyer, Miriam Siefer, was not available for comment. Car pistol holder used to strap a hand gun to a car seat. A book describing “deadly skills” to elude pursuers, evade capture and survive dangerous situations. Kel-Tec Sub 2000 9mm, which is a semi-automatic rifle with a barrel that folds upward and back, which helps conceal the fact that it is a long barreled firearm. A pistol, which he bought in the parking lot of a gas station in Belleville on June 29. More recently, records show, Gregerson invited the undercover agent to his house on July 15, and showed him a 37mm grenade launcher, 37mm grenades, a loaded AK-47, a machete, a shotgun shell carrier with 25 rounds, six AK-47 magazines with 40 rounds of ammo in each and a bulletproof vest with military-grade plates. He also showed the agent a bag filled with 240 rounds of AK-47 ammo, calling it a “grab and go” bag. On July 27, the agent and Gregerson met again, that time discussing a shipment of smoke grenades that was expected to arrive on the evening of July 31. “In this same conversation, Gregerson discussed with (the undercover agent) his plans for a full tactical response to law enforcement if they came for him, including the use of grenades,” court records state. On Sunday, the two men met again at a gas station in Monroe. Another undercover agent was there, posing as a truck driver who would be delivering the grenades that Gregerson was expecting. Gregerson paid for the grenades with a Beretta handgun. When he received the grenades, he inspected them. His arrest immediately followed. He is currently in jail pending a detention hearing on Thursday. FBI counterterrorism agents have uncovered a link between Sebastian Gregerson, the American Muslim arrested Sunday after he allegedly bought illegal grenades, and an al-Qaida leader who radicalized underwear bomber Umar Farouk Abdulmutallab, The News learned Friday. Gregerson, 29, aka Abdurrahman Bin Mikaayl, is a gun enthusiast, hunter and survivalist who has no criminal record, his lawyer said during a court hearing Thursday. The weapons were purchased legally, his lawyer said. Gregerson has not been charged with a terror-related crime, though federal prosecutors have filed a sealed document that “goes way beyond” allegations of purchasing a destructive device and receiving explosive materials, his lawyer said during a court hearing Thursday. HOW MANY AMERICANS HAVE TO DIE BY THESE FILTHY ANIMALS BEFORE YOU BRAIN DEAD LIBERALS STOP TRYING TO BE THEIR FRIENDS? I have always thought that maybe it will take a few Liberals to die at the hand of these people before we wake up for good. Will he get a pardon by obama if convicted. By Obama granting AYSLUM to MUSLIM IMMIGRANTS, CRIMINALS and TERRORISTS included (No FBI VETTING and no BACKGROUND CHECKS) Muslim Insurgents feel they have a PRESIDENTIAL FREEPASS and are privileged just like the HATE ORGANIZATIONS Obama the Democrat Party Organizers are funding BLM and Black PANTHERS and such! Muslims Insurgents “WILL NEVER” obey the laws of “FREE NATIONS” nor Pledge Allegiance but expect Welfare, Aid and demand Rights of Free Nations, they never earned nor deserve! The crime sprees will rise because MUSLIM INSURGENTS hold the >>KORAN and Sharia Laws<< above all else and can give a SH&T about the U.S. Constitution! Besides they FEEL Obama gave them a “FREEPASS”! They should come down to GA everyone has the same arsenal minus the grenades.